Orange County Mayor Teresa Jacobs was recently honored by Dave’s House, whose mission is to provide housing to citizens with serious mental illness. Mayor Jacobs was recognized with an award at the Dave’s House “Happy Days Soiree” for her work and continued advocacy on mental health and homelessness. “We’re so proud to honor Mayor Jacobs for her work and leadership for those with mental illness,” said Eric Welch, Vice President of Dave’s House. Mayor Jacobs was also lauded for providing community awareness about mental health and homeless issues, helping to make Orange County a community in which all citizens have homes. Dave’s House also recognized retired Ninth Judicial Circuit Court of Florida Chief Judge Belvin Perry, Jr. for his advocacy efforts on behalf of citizens with emotional, behavioral, mental health and substance abuse challenges. The “Happy Days Soiree” included a VIP reception, dinner and a special performance by NBC’s The Voice finalist Sisaundra Lewis. After dinner, the gala was converted into a sound stage for a rendition of the television series “This is Your Life,” which honored Mayor Jacobs and Belvin Perry, Jr. In addition to appearances from special guests, The Dave’s House Soiree award was presented to Mayor Jacobs by her mother and daughter. In seeking to serve citizens and families in need, Mayor Jacobs continues to co-chair the Central Florida Commission on Homelessness (CFCH), which is working to impact homelessness and poverty issues in Orange, Osceola and Seminole counties. The CFCH is a nonprofit organization that coordinates with government, other nonprofits, faith-based institutions, philanthropic initiatives, private sector businesses, and other charitable and community organizations to impact homelessness in Central Florida. Several committees have been formed by CFCH, including the Family Homelessness Committee and an Orange County committee to coordinate with the region, both of which are priorities for Mayor Jacobs. In addition, the CFCH and Mayor Jacobs has also convened a 20-member Youth Mental Health Commission comprised of elected officials, law enforcement and community leaders to develop new strategies and initiatives to address the system of care issues in children’s mental health in Orange County. Mayor Jacobs also participates in the Orange County Domestic Violence and Child Abuse Commission to help create a seamless safety net for those in need. Mayor Jacobs said Dave’s House plays an important role in the community. Dave’s House is the name for homes funded by The Brain Foundation of Florida, Inc. (TBF), a nonprofit organization that purchases houses, apartments and land for development. TBF works with qualified mental healthcare providers, government entities, developers and corporate and community partners throughout Florida to establish supportive housing. Supportive housing helps save and improve lives, prevent and end homelessness, and halt an expensive and hopeless pattern of dependency on crisis care in hospitals, shelters, and correction facilities. It is the most effective and cost-efficient way to reduce homelessness among the mentally ill. The Belvin Perry, Jr. Central Receiving Center (CRC) provides necessary resources and care for patients suffering from mental health or substance abuse crisis, while offering intensive case management for those who have been diagnosed with mental illness and substance abuse disorders. The facility also administers transitional housing for the chronically homeless. 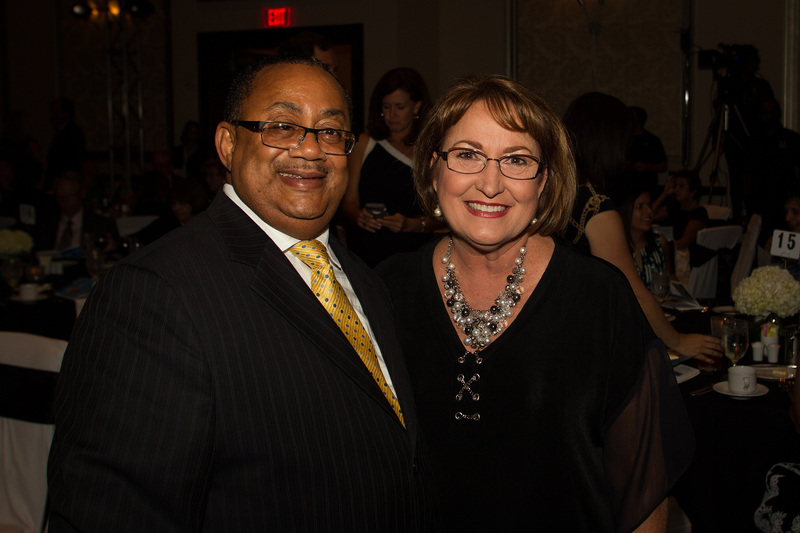 In October 2014, Mayor Jacobs was honored by the Federation of Families of Central Florida with the “Champion of Children’s Mental Health” award. Photos from the Happy Days Soiree may be found on Flickr for use by the media.